Engineering Build Space Makers in Residence, Elliott Griffiths and Elizabeth Bishop recently visited Autodesk and their Pier 9 facility. 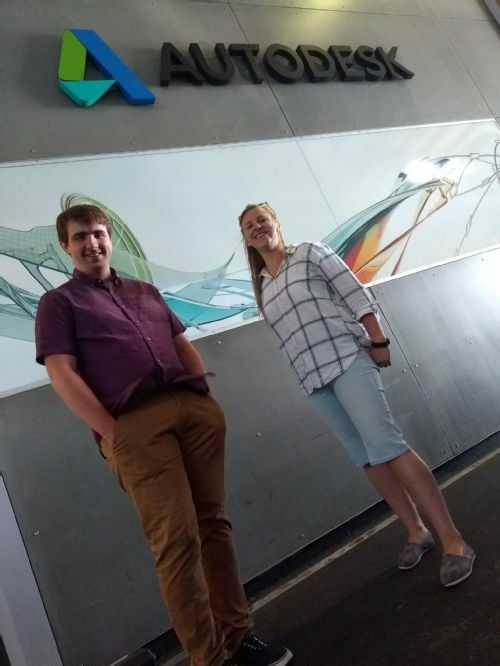 Elliott and Elizabeth were part of a UK education delegation who travelled to San Fransciso to discuss how Design and Manufacturing are taught at University and how companies and Universities can work more closely to train the engineers of the future. Elliott and Elizabeth outside Autodesk's Pier 9 facility.